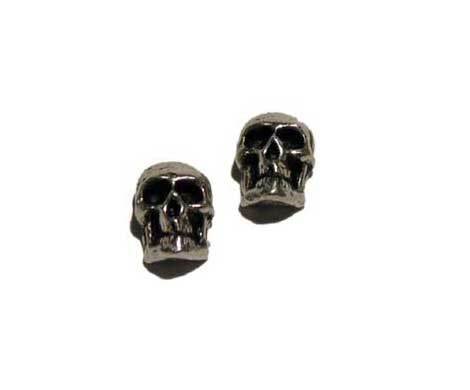 Miniature skull earring studs 1/4 inches in diameter. Made of steel posts with English pewter. By Gothic Alchemy. Perfect small size. Not so darkly colored as the picture seems to show. Very happy with them. These small skull earrings are definitely authentic Alchemy Gothic! The studs are a perfect size; not too small or too large. The craftsmanship is great, each earring having its own unique skull detail that truly look like little skulls of death! The soft plastic clear posts are good and stay in place. 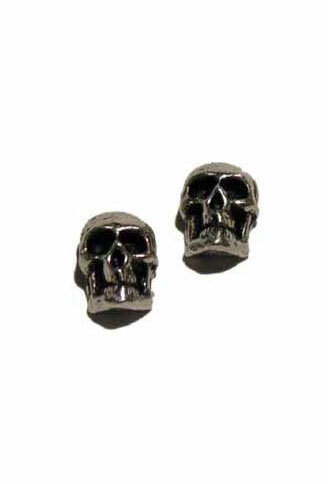 Add these to your skull or gothic jewelry collection women and men for a cool look!